The archaeological dig is being done by GARS to uncover artifacts that will educate and enlighten us about life in Lilburn in the 1800's. 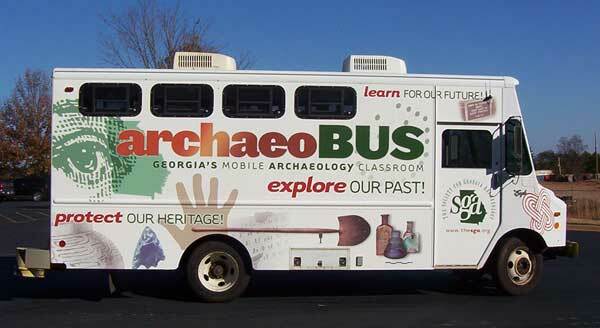 You will learn about archaeological techniques and processes used to uncover, preserve, and record history. 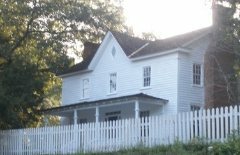 A tour of the home will complement the dig, as you learn about the history of the Wynne-Russell Family and how Lilburn became what it is today. Members of the Wynne-Russell Historic Preservation Committee will be selling commemorative t-shirts with the Wynne-Russell House sketched by Kay Walton. Ten eateries will be featured at the Taste of Lilburn on Saturday, April 22, 1:00-4:00 pm. Fair Oaks Band featuring the Nicks Brothers will once again amaze us with their endless repertoir of our favorites. Participating eateries are: 1910 Public House, Matthews Cafeteria, Taqueria Los Hermanos, The Barn Smokehouse and Seafood, Izzy’s NY Pizza, Taste of Paradise (Jamaican), Tipsy Pig BBQ, Hardee’s, Marco’s Pizza and Berkmar Culinary Arts. Advance online ticket holders will be VIPS for the event and will be admitted to the event at 12:30 pm. Tickets will be sold at the event as long as food samples last. This is a fundraiser for the Wynne-Russell Historic Home. Ticket and more info on eateries at: www.lilburnevents.com. 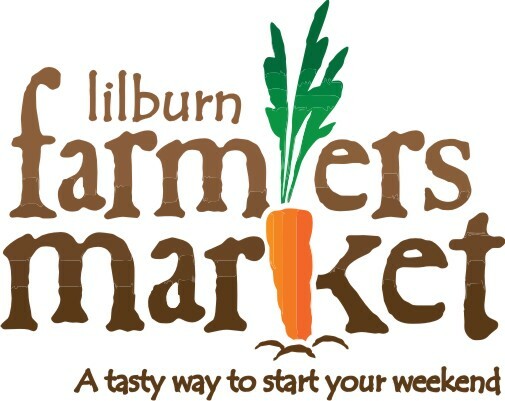 The Lilburn Farmers Market is accepting applications for the 8th season of their seasonal market operating every Friday in June, July and August from 4pm to 8pm located at 1400 Killian Hill Road, Lilburn, GA. 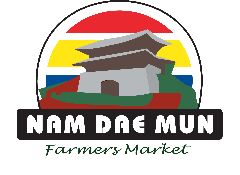 The market is a producer only market and is seeking vendors of food and food related items. Applications are also being accepted for food trucks. The Lilburn Farmers Market is a community event and is seeking local non-profits to feature each week in their 'Booth for a Cause'. This booth is gives local organizations an opportunity to educate market attendees about their cause. Partnering with Wholesome Wave Georgia, the Lilburn Farmers Market will again be associated with the Georgia Fresh for Less program which doubles the EBT/SNAP benefits on eligible purchases at the market. The Lilburn Farmers Market has recently been awarded the 2017 AgSouth Farm Credit's 'Think Outside the Store' grant to help promote the market and to encourage our community to think 'farm fresh' when planning their meals. The Lilburn Farmers Market is sponsored by Good Shepherd Presbyterian Church to provide a venue for local farmers and producers to sell their products directly to the consumer. More information about the market can be found at www.lilburnfarmersmarket.org. A work session is held at 6:30 p.m. in the adjacent conference room, for council members to discuss business on the meeting agenda. The public is welcome at the work session. The Lilburn Arts Alliance announces our 2017 Spring Exhibit to be held on Saturday, April 15, from 10 am until 4 pm at Good Day Studio located at 79 Main Street, Suite A. Make plans to participate in this year's show! We will be accepting 2 dimensional and 3 dimensional works. Artwork submissions are due on Friday April 7, 2017. Visit our website www.lilburnartsalliance.org for more information about the Lilburn Arts Alliance. 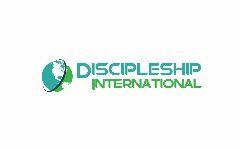 Business Builders Breakfast: Friday, April 7, 8:00 am - 9:00 am at IHOP, 4018 Lawrenceville Hwy, Lilburn, GA 30047. Meet us at IHOP in Lilburn. Dr. Al Taylor, principal of Berkmar HS, will be telling us about the Construction Ready Boot Camp being held at the school this summer.No extra charge for this meeting. You may order and pay IHOP for food. Preregister so we know you are coming. The Lilburn Business Association meets at the Jade Dragon Restaurant, 4230 Lawrenceville HWY, Lilburn, GA 30047, 11:30 am - 1 pm, Tuesday, April 18, 2017.Register and PrePay now: Meeting fee includes buffet lunch, drink and tip ($10 - LBA members; $15 - nonmembers.) Brad Stevens of Entreholic will speak on "Digital Marketing Strategies." Doggie Tales: Read to a Trained Therapy Dog: Ages: 5-10 Saturday, April 15 10:30a.m. Toddler Time: Ages 1-3 Tuesdays April 11,18, and 25 10:30a.m. Preschool Storytime Ages 3-5 Tuesdays, April 11, 18, 25 at 11:30a.m. As the Page Turns: Lilburn Branch Book Discussion Group: Discussing Delicious Foods by James Hannaham Thursday April 6 at 6:30p.m. Children of the Rainbow, Storytime and Craft: All Ages: Friday, April 7 at 10:30a.m. Bilingual Storytime (Hindi/English) for ages 3-8 Saturday, April 12 at 6:00p.m. Open Mic Night at Lilburn Branch Thursday April 13 at 6:00p.m. Easter Egg Hunt in City of Lilburn Park, Saturday, April 15, 10:00 a.m.-12p.m. Music and Movement, for kids ages 3 and up Monday April 24 at 11:00a.m. Family Storytime and Craft for ages 3-8 Saturday April 29, at 10:30a.m. 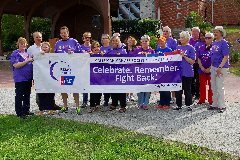 The Lilburn Relay Rally in Lilburn Park on April 21, 2017 at 5:00 p.m. will be the best ever with your help. Sponsored by the Lilburn Woman’s Club, this event is a fund raiser for the American Cancer Society’s Gwinnett Relay for Life. Participant registration for the event is free. Survivors will be honored at a reception at 5pm at 1910 Public House event room. Come to Lilburn City Park and join in the fun! There will be food, games, music, prizes and more! There is still time to help influence the future of transportation in Gwinnett! To provide your feedback, fill out the survey at destination2040.metroquest.com by April 10. The results of the Comprehensive Transportation Plan survey will help guide County officials' decisions on what roads, trails, and other transportation projects to take on through 2040. Get involved and help shape your future by taking the survey today! Celebrate the planting season at McDaniel Farm! Join in planting corn and cotton on this family farm. Enjoy blacksmith demonstrations and examine tools of the past. Discover the engineers of dirt – earthworms and the importance of composting. Make an herb sachet and tour the McDaniel Family farm house. This event is fun for all ages. Celebrating our Planet and a Healthy Life! Note from the Editor- Please excuse the repetition below; we are having issues with formatting. Berkmar High School’s Entrepreneurship and Leadership Academy will host the school’s 2nd Annual Young Entrepreneur’s Shark Tank Scholarship Competition on Monday, 4/17/17, from 7:30am-11:00am in the school’s media center. Students from two of the school’s entrepreneurship and marketing classes have been preparing for the past three months for this highly anticipated competition. If your organization or business would like to submit, send us your item in a Word document by April 25 for publishing around May 3. Advance tickets for Taste of Lilburn, Saturday, April 22, 1:00-4:00 pm can now be purchased online. This event has sold out every year. Participating eateries are: 1910 Public House, Oyster Barn and Smokehouse, Matthews Cafeteria of Tucker, Taste of Paradise Jamaican, Taqueria Los Hermanos, Marco's Pizza, Tipsy Pig BBQ, Hardee's, Izzy’s Pizza, and Berkmar Culinary Arts. Advance online ticket holders will be VIPS for the event and will be admitted to the event at 12:30 pm. Tickets will be sold at the event as long as food samples last. This is a fundraiser for the Wynne-Russell Historic Home. Ticket and more info on eateries at: www.lilburnevents.com. Every year BAPS mandirs across America and Canada hosts Walkathon to raise awareness and help raise funds to various charities. The national Beneficiary is Natures conservancy and the Local Beneficiary is Lilburn Elementary school. It is one way that we at BAPS can give back to our local community. The STEM curriculum teachers at Lilburn elementary are planning on a wonderful project for kids and the donated monies would be going there. Each June and July some of the County's best and brightest high school talent find themselves interning with companies OUTSIDE of Gwinnett! 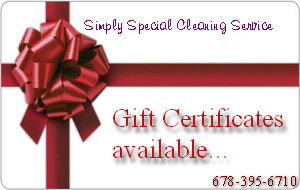 The time has come for your Gwinnett business to help us retain this talent. Join us on April 18th to learn about the Technology Association of Georgia Education Collaborative's (TAG-Ed) Summer Internship Program, mission, services, process and outcomes! The meeting will be held in the Work Session Room next to Council Chambers (2nd floor). Wynne-Russell Needs a New Roof! The historic home's cedar shake roof recently showed its age by springing a leak in the upstairs portion of the house. Of course the options available included metal, shingles and cedar shakes. As the WR Historic Preservation Committee looked at options, they researched pictures of the home prior to the 1977 renovation - pictures all showed wooden shingles. So in order to be as historically accurate regarding the home's construction materials over time, they asked the City to consider the most expensive option - replacement with high grade cedar shakes. The City agreed to shoulder most of the cost, but asked the Lilburn Community Partnership to contribute $5,000. Happily the LCP and the WR Preservation Committee agreed that they would help with costs. The April Taste of Lilburn proceeds will all go toward the cost of the cedar shake replacement roof. More than ever, we encourage the community to help us build up a maintenance fund for the house as we show our appreciation for this community treasure. Come out to Taste of Lilburn, stop by this summer for a tour and make a donation, consider renting the home for a family gathering or unique venue for a business meeting. If you have never been inside the structure, you will be amazed at how much of the 1826 workmanship is visible despite the modern updates. Go to www.wynne-russell.com for more info. Doggie Tales: Read to a Trained Therapy Dog: Ages: 5-10 Saturdays, April 1, 15 10:30a.m. Toddler Time: Ages 1-3 Tuesdays April 4,11,18, and 25 10:30a.m. Preschool Storytime Ages 3-5 Tuesdays, April 4,11,18, 25 at 11:30a.m. DIY Colored Sand Art: Create a unique sand sculpture in a jar for Teens: Tues. April 4 at 3:30p.m. The Art of STEAM: for ages 3 & up Wednesday April 5 at 10:30a.m. (Drop in LEGO Play@ your Library!) For Ages 4-10 Wednesday April 5; stop by 6:00p.m.-7:00p.m. DIY Frozen Yogurt Treats: for Teens: Make a sweet concoction with yummy toppings! : Thursday April 6 at 3:30p.m. Gwinnett County Public Library now offers customers access to Beanstack, a customized online portal designed to engage families with young readers and to facilitate the library’s summer reading program. Beanstack starts with sending parents a weekly recommendation of a book and event at your local library, matched to each child’s interests. Parents are also provided tools for building literacy, including learning tracks that are like step-by-step guides through subjects like “A Guide to Reading Readiness,” “Ninjas,” and “Surviving Family Car Trips.” As families log their reading and complete literacy activities, they earn badges that encourage them to visit their local branch. Customers can create Beanstack accounts, get emailed recommendations, log their reading, and register children for 1,000 Books Before Kindergarten. Beginning May 5, customers will be able to register for the Summer Reading Program, earn incentives for book clubs, and more. Gwinnett County Public Library (GCPL) will soon launch Treehouse, an online tool that brings technology education to people in order to help them achieve their dreams and change the world. Once enrolled, students can learn how to build a website or mobile app, code, or how to get a business off on the right foot with coursework that includes corporate structure, marketing, and finance. Students can practice what they’ve learned through quizzes and interactive Code Challenges and earn badges as they journey through an extensive library of courses. Treehouse seats are limited. 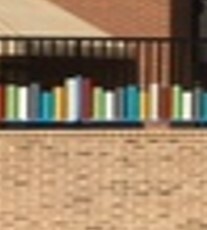 Library card holders can apply at gwinnettpl.org/treehouse. We are so thankful for all of your efforts this year to make the Lilburn Lions Club Food Drive a Success. Our goal was 1500 lbs of food and we not only hit it but surpassed it by over 200 lbs! The Lilburn Woman’s Club is delighted to announce the participation of the Knight Elementary School Teaching Garden in our 4th annual “Behind the Garden Gate” tour of Lilburn area gardens on Saturday, May 13, 2017 from 9 a.m. until 4 p.m.
Click HERE for an article about the garden, how it came into existence and how it is used in coordination with school curriculum along with ticket information for the event. Click HERE for photos of each of the areas of the garden with an explanation on each. Thank you for your support of The Lilburn Woman’s Club. As Spring Break in Gwinnett County approaches (starting this Friday), SafetySmart Lilburn would like to encourage all families to discuss the following event with children who will have extra time on their hands. A resident in Lilburn reported seeing children/youth with hammers knocking on telephone/internet units, gas meters and other utility units at various homes in the subdivision. Not only does this disrupt gas, phone and internet service to the home where the event happens but it is inconvenient and costly for the homeowner. 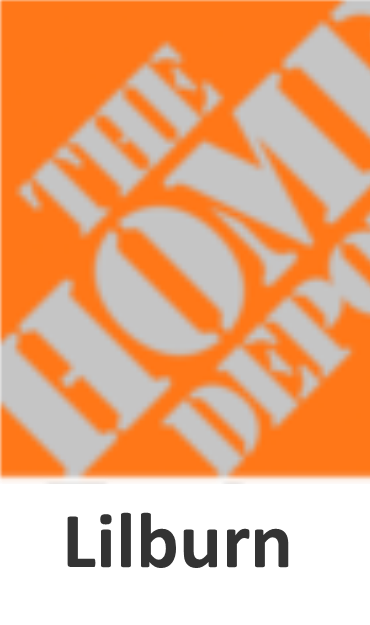 The homeowner is responsible for the costs of repair as well as having to be present for the repairman. Finally, and most significant, damaging gas meters can result in gas leaks which can cause major hazards to the youths destroying the property, as well as setting up conditions for fires or explosions which can damage multiple homes in the area. Please encourage your children to find entertainment that is responsible and productive, will benefit the neighborhood and community, or increase their knowledge about a new interest. We are hoping to build the safest community in Georgia with the help of all residents of Lilburn. For more information about SafetySmart Lilburn, visit our website or Facebook Page, or send an email to info@safetysmartlilburn.org. Congratulations to Elisha Boutwell, a 4th grader from Parkview Christian Academy, who took First Place Overall in the Spring into Art elementary school competition presented by the GFWC Lilburn Woman's Club Arts Program as part of their annual support of Youth Art Month. 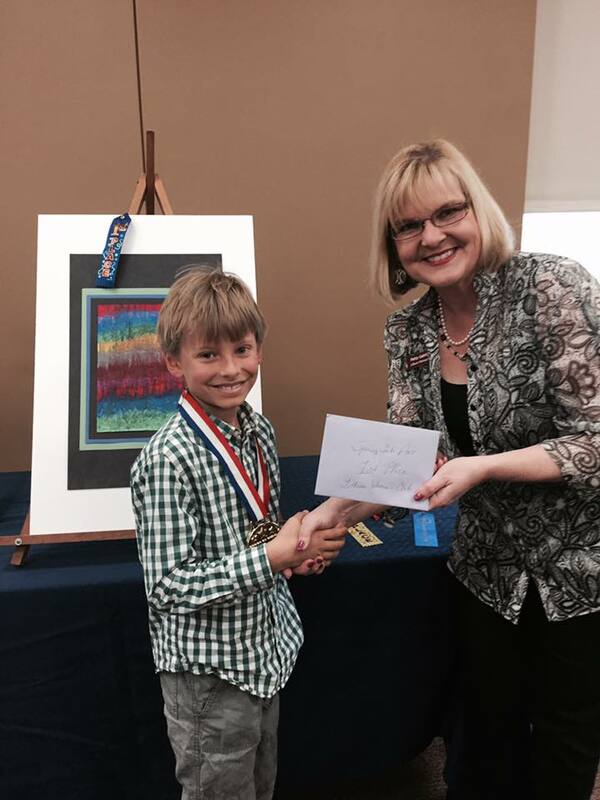 Local artists from the Lilburn Arts Alliance judged over 100 entries from eight local elementary schools. Elisha will have his work professionally framed and presented on stage at Lilburn Daze Arts & Crafts Festival this October. More photos of this fun event on the GFWC Lilburn Woman's Club and Spring into Art Facebook pages. Student entrepreneurs will be given 5 minutes to pitch their business plans to local business leaders with the hopes of convincing these community leaders that their proposal is worthy of investment. Participants are 2nd year students in either the Marketing Management or Business and Administration Career Pathways. The stakes for this year’s Shark Tank event are higher due to an increased number in participants, community partnerships, and sponsorships. Due to the generous sponsorship of community businesses and organizations like Christopher Solorzano of American Family Insurance and the Lilburn Business Association, the winning team will receive a scholarship totaling up to $500.00. The scholarship will be used to help students launch their proposed businesses or towards their college expenses. 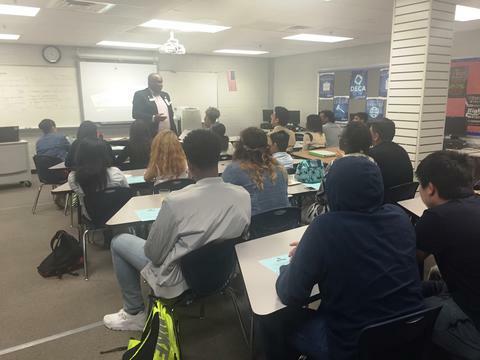 In addition to the scholarship, Berkmar students also benefit by gaining valuable business advice, insight, and potential mentorships from the community partnerships the school shares with organizations like the City of Lilburn and Lilburn Community Partnership. The competition, through its school and community partnerships, helps better prepare students seeking to someday start their own business or prepare them for careers in marketing and business. 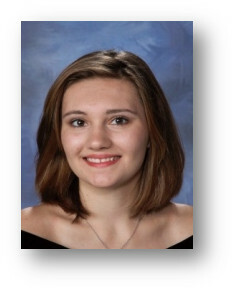 Cassidy Moncrief is a national medalist for the Scholastic Art & Writing awards! She is one of only 12 students from all 50 states to receive this honor. The best 10 pieces from each state were adjudicated and she was one of only 12 chosen from the entire country. The Scholastic Art & Writing Awards is the most prestigious recognition program for creative teens. Please congratulate her, this is a huge honor. She will be recognized on June 8th at Carnegie Hall, New York City.